Iconic bakery brand Tip Top has redesigned its masterbrand and product packaging across its full bakery range. The objective of the new look was to modernise the image and create packaging which stands out, while also maintaining the quality and trust for the iconic brand. George Weston Foods commissioned Sydney brand design agency Saltmine who began by shifting the colour palette to richer tones, modernising the typography and encompassing the map of Australia within a lozenge. “Key to this project’s success was staying true to the brand’s heritage whilst also creating a fresh new look that would allow Tip Top to strengthen its leadership in the bread category,” said Sara Salter, Saltmine managing director. 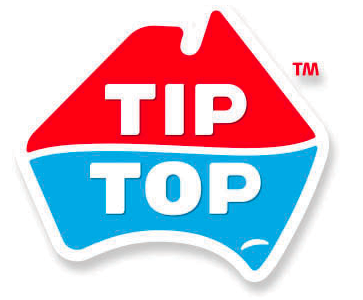 An “established in 1958” tagline was added to reaffirm Tip Top’s heritage and experience. Across the packaging range, a red ‘swoosh’ has been included to highlight the enlarged window, which is intended to highlight freshness and pride in the product. Falling wheat, grains and fruit are included in the relevant bread packs in an effort to reinforce food cues and add appetite appeal and health credibility. The ‘good on ya mum’ sign-off is still included and has been evolved in design. Saltmine also maximised opportunity for brand visibility on-shelf by ensuring the front-face design extended to include the base of the pack, previously, the front-face and base each contained separate designs. 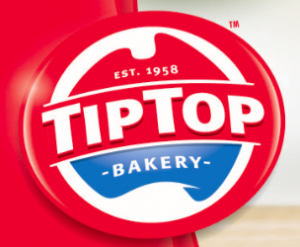 The new masterbrand identity is consistent across the full range of more than 30 products including Tip Top Sunblest, Tip Top 9 Grain, Tip Top Breakfast Range, Tip Top English Muffins, Tip Top Texas Toast, Tip Top The One and Tip Top Rolls range. To boost the rebrand, a nationwide out-of-home campaign has launched, which includes oOh! Media Shopalite billboards, oversized replicas of the new bread bags, digital media panels and Westfield Smart Screens in stock locations.